Two weeks ago in Foster Poultry Farms, Inc. v. Certain Underwriters at Lloyd’s, London, 2015 U.S. Dist. LEXIS 138609, 2015 WL 5920289 (E.D.Cal., Oct. 9, 2015), a California Court applying New York law found coverage under a product contamination insurance policy for a loss of poultry caused by salmonella. The Court allowed the recovery of decontamination expenses as “accidental contamination,” holding that the policyholder need only prove that there was a “reasonable probability” that consumption of its processed chicken would lead to bodily injury or sickness. In addition, the Court rejected the insurers’ arguments that the undefined term “recall” was only applicable if the loss involved the of destruction of product already in the hands of customers, and it thereby allowed recovery for a substantial amount of product still in the insured’s warehouse. The insured was a poultry producer with a processing plant in Livingston. In October of 2013, the U.S. Department of Agriculture (USDA) notified the policyholder that it was considering suspending the assignment of inspectors to the plant and withholding marks of inspection for any chicken processed there, making it ineligible for sale. The reason was a high incidence of salmonella in the facility’s poultry products and the likelihood that they were linked to 15-state outbreak of salmonella illness. After several months during which the insured unsuccessfully attempted to rectify the problem, the USDA shut the plant down with a Notice of Suspension (NOS) on January 8, 2014. The policyholder ultimately destroyed 1.3 million pounds of chicken still in its possession, and the plant remained closed for two weeks for fumigation and implementation of a remediation program that was deemed acceptable by the government. The insured made a $12 million claim under its product contamination insurance policy, contending that the monies expended to decontaminate its equipment were covered as “accidental contamination” and that the value of the destroyed poultry products was covered as “government recall.” The insurers denied the claim. The contract of insurance defined “accident contamination” as “an error in the production, processing, or preparation of any insured products ‘provided that’ their use or consumption ‘has led to or would lead to bodily injury, sickness, disease or death,’ ” and the carriers contended that he second element – proof that consumption “would lead” to bodily injury – had not been shown. “Government recall” was defined to mean “a voluntary or compulsory recall of insured products arising directly from a regulatory body’s determination that there was a reasonable probability that those products would cause ‘serious adverse health consequences or death.’ ” The word “recall” was undefined, however, and the insurers argued that the term applied only to products that had already left the policyholder’s control. [I]t is undisputed that Foster’s chicken products were actually contaminated with organisms able to cause a variety of serious illnesses, infection, and death. . . . Insurer’s contention that Foster’s destroyed product was not actually contaminated thus fails. By October 2013, over 200 people from 15 states were hospitalized for salmonella illness, 80% of whom reported that the consumed Foster’s chicken. . . . 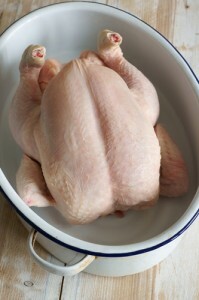 The record establishes that chicken products containing Salmonella Heidelberg outbreak of strains can cause illness even where normal cooking practices are followed. With respect to the recall coverage, Judge Shubb accepted the insured’s contention that “the term encompasses the voluntary destruction of Insured Product that did not leave Foster’s possession” for two reasons. One was that portions of the policy clearly contemplated that there was coverage for destruction of chicken products that could threaten bodily injury or disease without qualification, which is to say regardless of whether they were still in the policyholder’s possession or in the hands of its customers. In addition, the court fell back on the old canard of ambiguity, construing the term “recall” as “reasonably subject to more than one interpretation” and interpretingf it in favor of the insured as a result.